The Jane Austen Project is a group, founded in October 2009 by Frank Underwood with Follybridge.com for enthusiasts and scholars of Jane Austen's world, in Oxford and beyond. It is intended for anyone interested in Austen and her work, to hold meetings to discuss her life and times, and has its own website. In particular, we want to research and perform her music - the huge corpus of materials which she brought together from libraries, collections and borrowings, and adapted for household use. 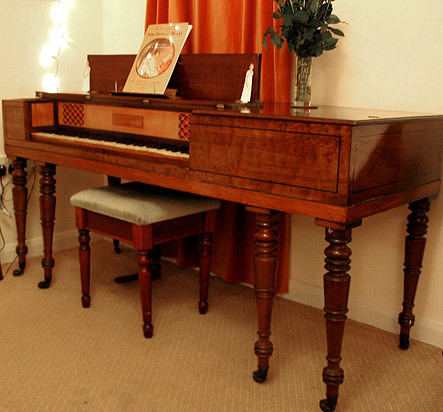 Frank Underwood has joined forces with the singer Gillie Tunley, to found Austentation, and the first recording sessions are being undertaken in July 2011 for release by the end of the month. 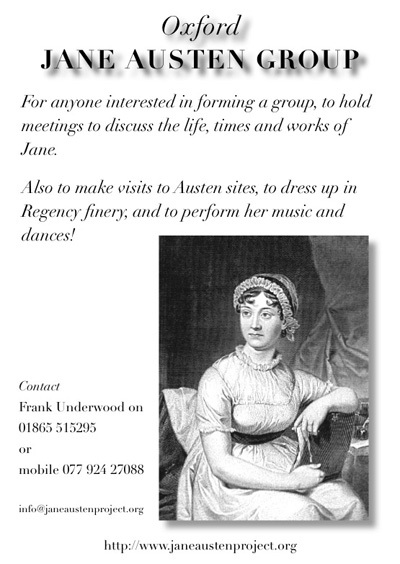 Check the website for further news, or email info@janeaustenproject.org to join the mailing list.